This Blog explores the relationship of People Place and Planet. We apply the principles of Integral City www.integralcity.com , and use Living Systems and Complexity lenses to make sense of how we think, act, relate and create in the Human Hive. The biomimicry pattern of the Human Hive (aka city) draws on fractal patterns and systems in play in our global ecology and human species. Homo sapiens sapiens is supposedly the most advanced species of the vertebrates. We have developed four types of cities in our Human Hive line. Moreover we have also developed four roles that are active in our cities similar to the four roles in the beehive. The four types of cities I want to consider are Traditional, Smart, Resilient and Integral. Together they form an evolutionary spectrum. In this blog series, I will only point out the Traditional City, driven by managing the transactional exchanges of the basics of life but will not spend time on it. I am more interested in exploring the potential of the Smart City driven by technology and industry; the Resilient city driven by ecological and eco-regional interdependencies; and the Integral City driven by the flex and flow of cultures, consciousness and care – the very energies of the Master Code. Now let’s explore the 4 roles of the Human Hive. In the Human Hive, I have noticed that the 4 bee roles provide a fractal pattern filled by what I call the 4 Voices of the City. These voices/roles in the human hive follow the same fractal patterns of roles that the bees have evolved. And not surprisingly others have noticed similar fractal patterns in organizations and nations. Dr. Ichak Adizes has noticed these patterns in family behaviors and applied these same roles to organizations as: Producers, Entrepreneurs, Administrators and Integrators – his famous PAEI pattern. Moreover, I take the license of suggesting that the Pope himself has chosen “Integral Ecology” as the title of a key chapter in his encyclical “Laudato Si”, because he recognizes the ecological realities that permeate life at all human scales. I am curious, as a Reader – while you are doing your work in the city – would you name your role as Resource Allocator or Civic Manager? Diversity Generator or Business/Private Entrepreneur? Forager-Producer or Citizen? Or perhaps Integrator or Civil Society? Or maybe a combination of multiple roles? As you compare notes with voices/roles in other cities – will you remember to see that at another fractal scale that city’s roles act as the important fifth voice/role of the inter-city competitor? For Human Hives all five roles in all city types are critical for cities to survive and thrive. The Human Hive has many lessons to learn from the honey beehive. Some years ago I was introduced to the biomimicry magic of the beehive and was fascinated to learn that apis mellifera – the honey bee – has figured out a system that enables Smart behavior that not only produces energy for the functioning of the hive – but Resilient inter-ecological action that enables renewable resources for the entire eco-region of the hive. Paleo-biologist, Howard Bloom, describes these four roles of the bee hive in terms of systems performance that is modulated by what many are now calling the “hive mind”. Like all Smart Cities the bees have developed code that communicates resource data – like modern millennials they prefer a dance-rap code to a digital or spoken mode. They choreograph their Big Data information on a figure 8 design at the door of the hive. Like all Resilient Cities, the bees have measured their Eco footprint and figured out how much energy a hive of about 50000 bees needs to produce for survival – about 20 kg of honey per year. The beehive is organized so that 90% of the hive are Forager-Producers – who have the job of foraging for nectar and pollen in the eco-region of the hive. They fly out, find a patch of flowers and return to the hive with both bountiful samples of the harvest and dance the information for other bees to locate it (with coordinates matched to distance from hive, angle of the sun, type of flower, maturity of flower, etc.). With 90% of the bees attending to this duty – the dance soon becomes a rave. In order to fully appreciate the system of the beehive, we must stand back a little from the dance programs of the Forager-Producers and Diversity Generators and observe what the Resource Allocators and the Integrators are doing. Altogether these 2 roles are a very small percentage of the hive performed by mature bees and the wisdom of the hive mind. The role of the Resource Allocators is to reward performance of the Forager-Producers and Diversity Generators. They measure the returning harvest loads and reward the foraging-producing bees with “Bee Juice” proportional to their performance. 100% load receives a 100% reward. In the background the Integrators check out how the hive is doing in manufacturing the annual goal of 20 kg of honey. Sounds like a good system yes??? But what happens when Forager-Producer bees keep returning to the same patch of flowers? Sooner or later they deplete the patch – and the Resource Allocators reduce their rewards accordingly – from 75% to 50% to 30% and finally to 0!! And with the recent EU experience of risk/reward scenario analysis – what happens to bees who are cut off from the expected rewards of their non-performing efforts?? You guessed it – they get depressed. How do we know? We can measure depression in bees by the drop in their pheromones!! But there is a benefit to this downturn in energy/performance of the Forager-Producer bees. It means that finally the hard-working Diversity Generators can finally be noticed. Because they have never stopped returning to the hive and doing their little clog dances. And when the poor depressed Forager-Producers have given up on their big party, they finally can take notice that another “hearty-party” is going on with the returning Diversity Generators. A few depressed Forager-Producers take notice and follow the information dance and discover the DG’s new location for nectar and pollen resources. When these newly motivated Forager-Producers return, they stir up the old party pheromones once again and the Forager-Producers fly off in pursuit of new harvests. The Resource Allocators are happy, the Integrators are on target and the hive system survives and even thrives – not just because its internal conditions for wellbeing are met, but because the external conditions of the eco-region have also been supported by pollinating the producing plants – thus ensuring a variety of renewable resources for the next year. Thus, it appears that the honey bees have devised a true metabolic economy that actually catalyzes and supports an integrated ecology following the rules of complexity. In collecting this data, it is interesting to note the profile of the participants in each conference from an AQAL perspective. The Integral Theory Conference 2013, located in San Francisco, USA, attracted thinkers and theorists with a major interest and focus on integral points of view – a group that were heavily weighted in the Upper Left /Consciousness Quadrant of the Integral Model. At the same time, this group self-identified as being strongly biased in favour of Innovators and Business or Diversity Generators. The Federation of Canadian Municipality Sustainability Conference 2014, located in Prince Edward Island, Canada, attracted Mayors, City Managers and Civic Leaders with an interest in sustainability and action orientation. So from an integral perspective this group were heavily weighted in the Upper Right/Action and Lower Right/Systems Quadrants of the Integral Model. This group by definition were Civic Managers or Resource Allocators. These three groups give us an in interesting sampling of the I/We/It/Its perspectives on the Civic Manager in the Integral City. Figure 1 sets out the comparison of the 3 Groups for Civic Managers. Each Learning Lhabitat was asked to define the qualities of the Civic Manager Voice. This voice was driven by the value of structure in service to the bigger picture and finding out what is best for the community. Civic Managers were called “bridge builders between the unconnected”. The voice of Civic Managers often triggered the next steps to a larger or spiritual consciousness. This voice acted as connectors to the community and the resources required to build structures as well as allies with the Inner Judges of Civil Society. Acting as a hub or centre piece between Council, Citizens and Developers, Civic Managers can guide the Citizen Voice for collaboration on community interests. Its bureaucratic systems can advocate toward long term visions (including sustainability) while using access to information to frame an objective view of issues that assists in staying on course. Civic Managers can build consensus in an intelligent way, fearlessly delving into root causes of concerns, dispelling misconceptions and providing a synopsis of the issues to expedite workable solutions. At their best, Civic Managers operate on a principle of majority [rules], but as professionals make sure they listen without pushing their own agenda. As Resource Allocators it is the job of Civic Managers to innovate and introduce change and improvement, even supporting unpopular positions if that makes most sense. In doing so they must use systemic thinking, identifying the highest impact leverage points. At the same time they are called on to balance new approaches with the values of heritage. It is the job of Civic Managers to act as responsible decision makers (and expenditure managers) to plan for short, mid and long term change, using processes (and motivating staff) that allow them to frame, deliver and maintain structures that work (implemented with considerations for justice and flexibility). Civic Managers were seen as ensuring that the “wheels on the bus keep turning”, utilizing expertise and assets for measurable results. While Civic Managers were viewed as positive Resource Allocators, they were also recognized as speaking from the Voice of the Skeptic. They are always balancing the needs of the community with a diversity of opinions. Thus, they hold powerful positions that enable them to reward success, as well as punishing failure. These Learning Lhabitats are helping us see how Civic Manager Voices see themselves, each other, their city and the world. In these LLhabs, Civic Manager Voices are discovering how to strengthen their organizing capacities to build lasting foundations for the Integral City, so that the vitality of the other three Voices is well supported. In the companion blogs (Citizens, Civil Society, Business) we look at the other three Voices of the City revealed in our trio of Learning Lhabitats. At the ITC2013 Learning Lhabitat participants introduced themselves by name, Human HIve (aka city of residence) and the Voice(s) of the City they most often represent. Here is how the Cityzens described the voice of the City. They recognized that the Cityzen voice speaks from the Integral City’s Upper Left Quadrant – where I have called it the voice of the City Spirit. Cityzens want a sense of being home (Purple) and belonging (Green). They want to connect to others (Green). At the same time they are self-centred (Red and Orange). They can have a mob mentality and even lose their sense of individual self (Purple and Blue). They can be action oriented, doing what they have to do (Orange). They can also feel powerless, apathetic and isolated. Cityzens come in all flavours/colours/expressions of worldviews (see the hints in the Spiral Colours suggested by the Participants above). Learning “Lhabitants” recognized that the role that Cityzens play is to translate cues from the Diversity Generators (that comes from City Builder-Entrepreneurs ) and build the diversity into the fabric of the city. At the same time Civil Society integrate the individual mentalities and values of Cityzens with the other voices of the City. Cityzen Voice can be amplified by the Civil Society-Integrators who take the pulse of the Civic Managers , monitor the values of the Cityzens and point to the possibilities for innovation arising from City Developers. In this way Cityzens can learn how to align their efforts around common purpose. This blog is the fourth prologue for a keynote at the FreshOutlook Feb. 27, 2012 Building SustainABLE Communities Conference. Let me tell you about why I am attracted to the story of the human hive. I adapted it from the story of the honey bee, told by Howard Bloom — he discovered that the honey bee developed a strategy for individual adaptation, hive innovation and species resilience. 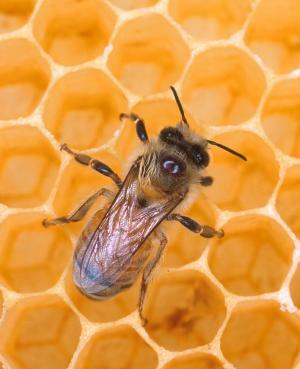 Do you know that the Honey Bee (apis mellifera) is 100 million years old? That is 10 to 100 times the age of our species. 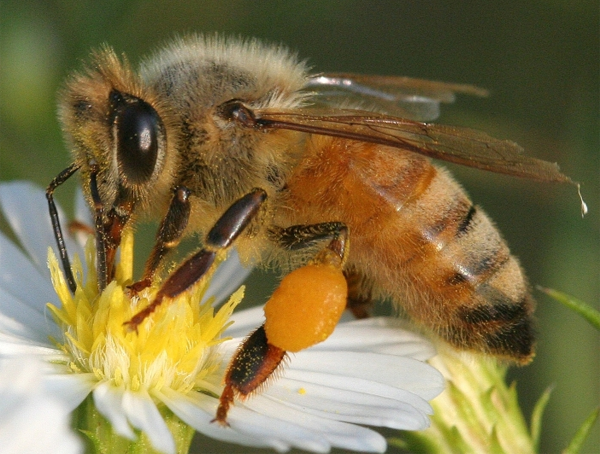 The Honey Bee is also the most advanced species of the branch of the Tree of Life called the invertebrates. We are supposed to be the most advanced species of the branch called the vertebrates. So with those credentials I wonder if the Honey Bee species has something to teach the human species? A bee hive has about 50,000 bees in it – about the size of a small city. And since many if not most of you work to performance goals, do you realize that a honey beehive also has a goal? It must produce a certain amount of honey per year in order to survive — about 40 pounds per year. So a beehive has a clear sustainability objective for the hive, measured in terms of energy production. About 90% of the hive are Conformity Enforcers (CE). Their job is to fly to flower patches and harvest as much nectar and pollen as they can. They use the “waggle dance” form of communication to let sister bees know where to find the resources. When 90% of the hive is doing the same dance – it’s like a Rock & Roll rave — the energy produced attracts a lot of attention and reinforces successful finds. About 5% of the hive are Diversity Generators (DG). Their job is to fly to different flower beds than the Conformity Enforcer’s. As a result their waggle dance contains different information – more like an Irish Jig than Rock & Roll??. When the Conformity Enforcer’s are at peak performance the Diversity Generator’s are not noticed because their communication is drowned out by the Conformity Enforcer “rave”. However — a small per cent of the hive are Resource Allocators (RA). Their job is to reward the performance of Conformity Enforcer and Diversity Generator bees. When Conformity Enforcer performance lags (after depleting the resources in one flower patch), Resource Allocator’s withhold rewards until the point that Conformity Enforcer bees are not only de-energized — they become downright depressed. You can imagine them walking around completely bummed out – the party is over – btw, they can measure depression in bees by measuring their pheromones. Eventually when the Conformity Enforcer’s energy is lowest, they finally take note of the Diversity Generator Irish Jig (communication) and switch their resourcing flights to new locations. An even smaller per cent of the hive are Inner Judges (IJ). Some say this is even a hive intelligence. The Inner Judge’s work with Resource Allocator’s to assess and reward performance, so that the hive can achieve its sustainability goals. The fifth role is a whole hive role – it is created through Inter-group Tournaments (IT). This role actually emerges from the competition between hives within the bee’s eco-region; i.e. the territory they share with other hives competing for the same resources. These five roles create a resilience strategy that depends on performance and innovation to support the hive and the species. But the bees have taken their sustainability strategy beyond the hive to scale at the regional level of resilience. Because of course as they gather resources for themselves, they pollinate their eco-region, thereby creating energy renewal for next year. This means the bees have developed a double sustainability loop that supports hive survival AND regenerates the energy resources in their eco-region. The Inter-group tournaments operate at the level of species survival – ensuring any hive that gets an edge in the innovation and evolution curve is the one most likely to survive and pass on its learning. In terms of sustainability, I wonder when homo sapiens sapiens will innovate sustainability strategies that will embrace performance goals and replenish the resources we use to sustain our human hive and thereby add value to the earth, as effectively as the honey bee? Human Hive Judging if Should Swallow Tough Medicine or Stave Off Disaster? Further to the Australian Federal Elections reported here in September. And the US Elections completed two weeks ago, I am noticing more action in the human hive, that says Resource Allocators and Inner Judges are busy trying to decide what to do next. The US Elections brought similar results to those in Australia — very close 50/50 races in many (if not most) returns across the country. Voters are clearly hedging their bets because they still can’t decide what will be the best outcomes for them. Quantitative Easing (QE) to defer the pain??? Or should there be touch medicine to move on from the devastating reality of non-performance??? The National Post gives two excellent articles discussing both perspectives. I am off to Ireland tomorrow for a week speaking at the Globe Forum Dublin. I will be very interested to learn first hand how Ireland is faring. Two years ago they took the Bitter Medicine while the rest of the world took QEI and QEII. Which ships survive the storms, is the burning question that will be decided by a number of Inner Judges and Resource Allocators in more than one human hive. Intergroup Tournaments are in full blown competetion for the forseeable future. Evolutionary survival is at stake.